The 33-year-old departs the Santiago Bernabeu after nine glorious seasons with Los Blancos. In his own words, Portuguese superstar Cristiano Ronaldo has explained why he pushed Real Madrid for a shock move to Juventus. Every year, rumours of the prolific forward’s transfer would do the rounds and would be dismissed as mere fantasy, but on Tuesday, after nine glorious seasons, Ronaldo’s glorious tryst with Real came to an end as the Spanish giants confirmed his transfer. “These years in Real Madrid, and in this city of Madrid, have been possibly the happiest of my life. I only have feelings of huge thanks for this club, for this sport and for this city. I can only thank all fo them for the affection I have received. However, I think the time has come to open a new stage in my life, and that’s why I asked the club to accept my move. I am so sorry and I ask everyone, and especially our followers, please understand me. Its been nine years absolutely wonderful. It’s been nine unique years. It has been for me an exciting time, full of consideration but also hard because Real Madrid is a club of very high demand, but I know very well that I can never forget that I have enjoyed football in a very unique way. I’ve had in the field and in the locker room some fabulous companions, I felt the heat of an amazing passion and together we have won three Champions Leagues in a row and four titles in five years. And next to them, on an individual level, I am pleased to have won 4 Golden Balls and three Golden Boots. Everything during my stage in this huge and extraordinary club. Real Madrid has won my heart, and that of my family, and therefore more than ever I want to say thank you: Thanks to this club, to this president, to managers, to my colleagues, to all technicians, doctors, physios and workers. Amazing that they made everything work and that they went over every detail tirelessly. Thank you infinitely once again to our followers and thanks again to the Spanish football. During these nine exciting years I’ve been in front of great players. My respect and recognition for all of them. I have thought a lot and I know the time has come for a new cycle. I’m leaving but this jersey, this badge and the Santiago Bernabeu will continue to be a part of me wherever I am. Ronaldo arrived with a world-record tag of €80 million in 2009. 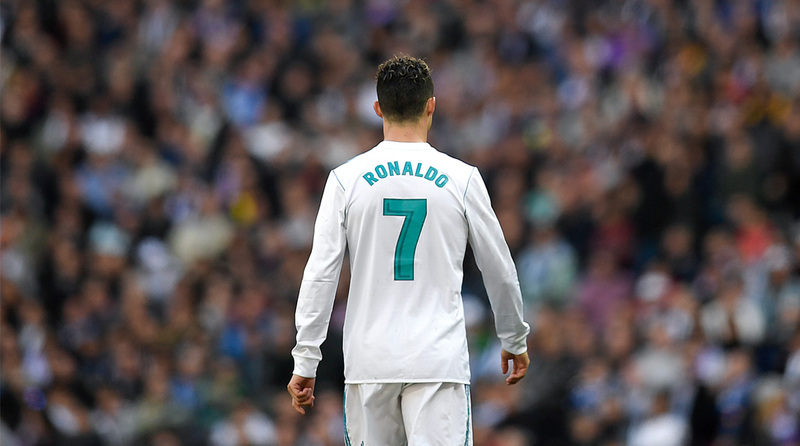 Having scored 451 goals in 438 games and having won countless titles, it’s safe to say Real didn’t have cause to regret shelling out that princely amount. While the transfer fee hasn’t been confirmed, the 33-year-old is expected to cost Juventus a figure in the region of €90 million.